Eyes can tell how old you are and be considered as the most attractive part of the face. Therefore, both girls and boys should take care of their eyes. Eye problems which are normally found are dark circles under eyes, wrinkles, and dropped eyes. These problems can be helped by lower blepharoplasty. 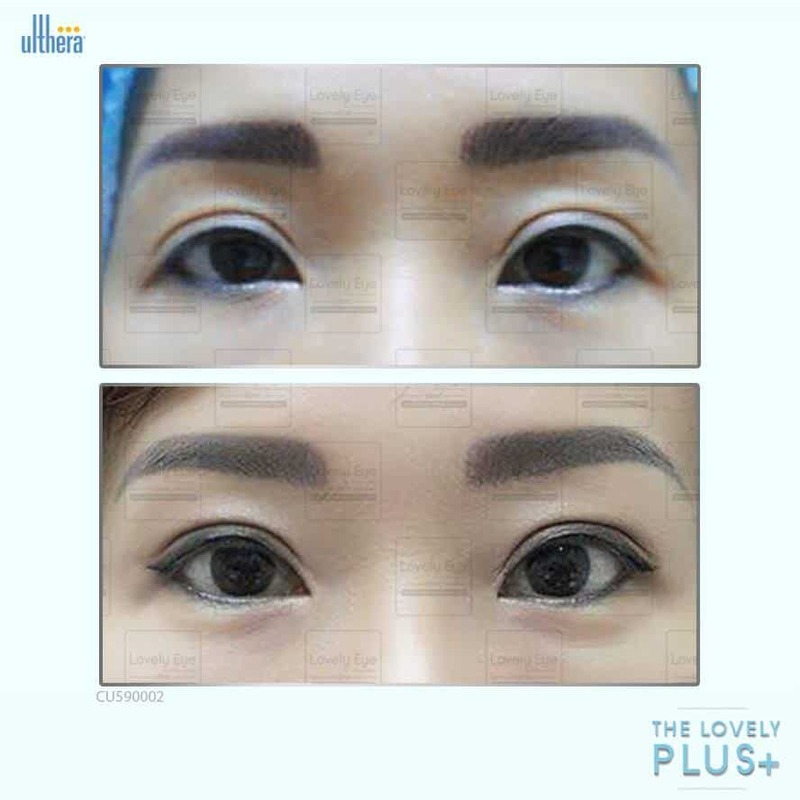 However, if you're scared of the operation and the wound, there's other way which is very popular for natural tightening your eyes, that is, Ulthera. Ulthera is lifting technology using Focused Ultrasound. It penetrates the deepest layer of the dermis, SMAS (Superficial Musculoaponeurotic System), the same layer typically addressed in a surgical facelift, sending ultrasound frequency that promotes collagen production. Ulthera causes pockets of damage by heating the deep layers of the skin, which stimulates collagen production, reduce wrinkles, and non-surgically tightens skin tissue. Ulthera not only elevates skin on the face and neck but also on the brow, eyelids, and dropped eyes including wrinkles under eyes making them clearer and brighter. According to benefits of Ulthera, Lovely Eye and Skin Clinic has brought this technology to treat along with an eye surgery which Ulthera is taken before the operation to tighten the skin around eyes. The result is even more effective. Some patients have conditions which are struggle for the operation such as eye structure , some diseases, and wanting to naturally tighten eyes. Ulthera is the best choice for these requirements. Some patients are not needed the operation and their problems can be solved by Ulthera. Moreover, Ulthera can lift skin on the brow, tighten skin tissue, eye wrinkles. However, to do Ulthera on specific area is needed consulting with the specialized dermatologist to design the treatment which has the most suitable for the patients.